Ritu Lalit is a blogger par excellence and blogs at PhoenixRitu. If you havent read her blog, I suggest you go over and do it right now! When you have been reading a person for a long time, you set a certain expectations. You expect the person to stick to a certain genre, employ a certain writing style. Usually even writers play safe and stick to the style and genre they feel most comfortable in. It takes immense gumption and I must say a certain amount of dare to venture out of the comfort zone and enter into a hitherto unknown territory. Most writers don’t do it. But then if there is one person I can expect to go off the beaten track, it is Ritu Lalit. With Hilawi she ventures into a genre of fantasy and suspense, and she doesn’t just hesitatingly tiptoe into this arena, she does it with her characteristic panache and aplomb! 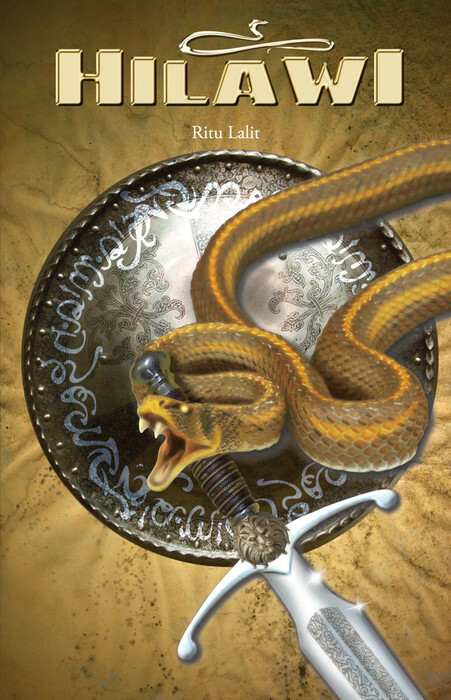 In Hilawi, Ritu takes mythology, fantasy and ancient folklore and intertwines it with the present day to bring us an enthralling tale of intrigue and suspense. Hilawi is the story of Yaduvir and Gargi – twins who with one phone call find themselves jolted out of their hitherto uneventful lives and thrown head front into the world of myths, half-forgotten legends and magic chants as they try to unravel the mystery behind Hilawi. In my opinion, Fantasy is the one of the most difficult genre to write in. Most writers have taken mythological tales and simply rewritten them in the modern format with a little bit of spice and fiction thrown in. Ritu on the other hand, takes the ancient legend of sagar manthan and weaves an entirely new tale around it that is set in the modern times. Only a writer with a fertile imagination and a certain amount of ingenuity can manage to do that. The writing style is simple but crisp, with strong clear characterization, and a plot that twists and turns and changes within the blink of an eye. This book is a roller coaster ride, your heart is always your mouth but you enjoy every moment of it. It’s extremely fast paced and you feel you will miss something even if you as much as skip a sentence by mistake. Ritu skillfully keeps her readers spellbound and totally enthralled till the very end. This book is definitely worth a read ! Thanks Ruchira. I am glad you enjoyed this book. BTW my third is a completely different genre again. I seem to find it difficult to stick to one genre. Amazing review! I have to find time for Ritu's book, as I've been reading some great things about her books. I am yet to read her fist book. This one sounds interesting. You have reviewed the book really well and yes I agree Ritu has a real panache for writing. YEt to read it but sound interesting for sure ..
@Ritu - Looking fwd to the next one ! @Rachna - Thanks Rachna. Its worth a read ! @Bikram - it is interesting ! I've been meaning to pick up Ritu's book for a while now; just needed a lovely review like this to spur me on! I’ve been reading your blog and absolutely love it. I was wondering if you’d be interested in reviewing books from Random House India?